This is another one of my Zen-inspired series of paintings, prints and notecards. 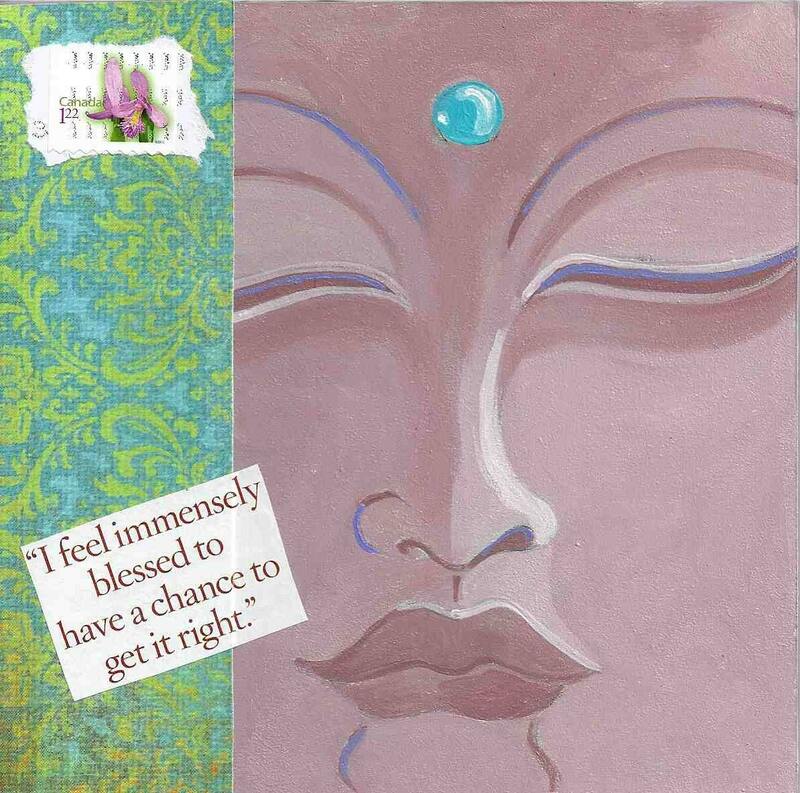 This one was inspired by Quan Yin. 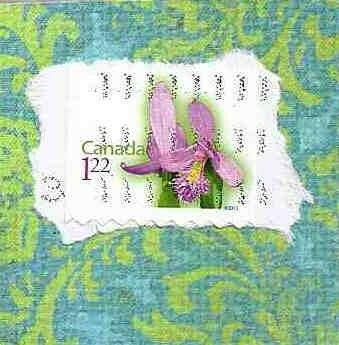 It has a collaged orchid stamp from Canada and collaged words from a magazine that read "I feel immensely blessed to have a chance to get it right." each card measures approx 4x5" and comes in a cello sleeve. The card is left blank for you to compose your own thoughts.